Kamada is engaged in the research and development of specialty pharmaceuticals by means of an advanced, patent-protected technology based on chromatographic separation techniques. A growing number of pharmaceutical clients are taking advantage of Kamada’s sterile filling services, which is carried out in Class 100 clean-rooms. Kamada possesses the know-how, patents, and longstanding experience in the field of protein separation using advanced chromatography methods. In addition to using the technology to manufacture its own products, Kamada also allows partners and stakeholders to hire its services. Kamada’s manufacturing facility is used to manufacture and fill drugs for human use. 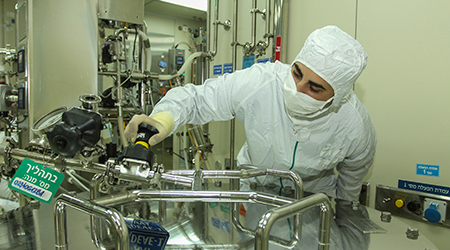 The facility, which is approved by the U.S. FDA and the Israel Ministry of Health, complies with the stringent standards of cGMP for pharmaceutics. Kamada has a dedicated drug registration department staffed by highly skilled and experienced personnel. 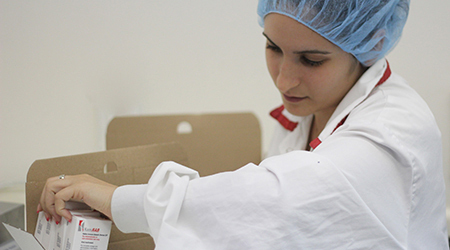 The team includes managers with extensive proven experience in the development and registration of drugs in Israel and around the world. Kamada is a multi-system pharmaceutical company, and as such, has established local and worldwide marketing and distribution networks to market the drugs it manufactures and/or represents in Israel and around the world. Kamada currently runs an extensive marketing network of local partners and distributors in more than 15 countries around the world.